The Gaming Control Board has recommended approval for an extension for the testing of poker software for three companies. The Nevada State Gaming Control Board convened in Carson City for its monthly meeting where it discussed a request by three separate companies for an extension of the period allotted for poker software testing. The three companies to request extensions included South Point Poker in Las Vegas, ACEP Interactive in Las Vegas and Monarch Interactive in Reno. The companies were all required to administer laboratory testing of their poker software as conditions of having received interactive gaming licenses last year. 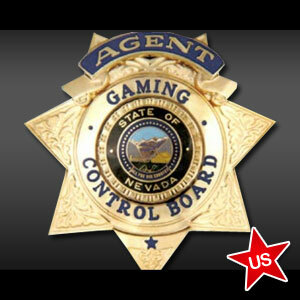 The licenses were awarded in August 2012 and gave them license as a distributor of interactive gaming systems. The original conditions stipulated that all testing must be complete within a six month window. The request could see the companies given close to another six months. The board voted unanimously to recommend approval for the extensions. The companies all claimed to be in the middle of testing, but are being held up at various stages. Some claimed the delay is due to the introduction of new variable into the industry, such as potential changes in legislation. The issue of the legality and regulation of online poker in the US has been a subject of much debate among federal lawmakers and continues to be so. In addition, the State of Nevada is looking into the possibility of amending its online poker law with the aim of working together with other states in order to be able to expand the number of online poker players eligible to join the sites. The Nevada Gaming Commission will take into account the recommendations of the Nevada State Gaming Control Board when they make their final decision about the extension application. If they are approved, the three companies will need to complete all testing of their online poker software by August this year. The Gaming Commission will meet on February 21 when they will discuss the applications and the recommendations from the board. The Nevada gaming industry is controlled through the Nevada State Gaming Control Board and the Nevada Gaming Commission. They control regulation of all aspects of the industry including people, places, practices and all other related activity.